As a June 10 referendum approaches on whether to allow online gambling in Switzerland, a Swiss legislator, Marcel Dobler of the Free Democratic Party (FDP), who previously voted against the law, has come forward with claims that he was offered a seat on a Swiss casino’s board of directors in a thinly veiled attempt to sway his allegiance. 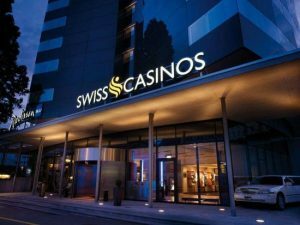 Speaking to Swiss media outlet Tages Anzeiger, Dobler declined to name the casino but stated the offer was a clear attempt to “prevent me from engaging the law”. The new online gambling law in Switzerland has become a political hot potato. In September 2017 Swiss legislators stirred controversy by approving changes to the country’s gambling laws that would only allow online gambling operations controlled by already existing Swiss land-based casinos, excluding all other operators from offering online gambling and requiring Swiss internet service providers (ISPs) to block the domains of all unauthorized gambling sites. Blow back from Swiss ISPs and a coalition of civil libertarians was swift and strong. Both argued that such authoritarian measures should be subject to a vote by the Swiss people, not just the parliament alone. Swiss law has long allowed for a referendum if 50,000 citizens sign a petition asking for one within 100 days of the passage of a new law. A coalition quickly formed, led by the youth organization of the FDP that included three political parties and the Internet Society Switzerland Chapter (ISOC-CH), who were able to gather enough signatures to force the June 10 referendum. FDP youth organization president Andri Silberschmidt told the Swiss media outlet Blick that the coalition was fighting “digital isolation” explaining that once a government embarked down the road to censorship a juggernaut was created that would lead to ever increasing restrictions. “Freedom for the economy and the internet, has great support in Switzerland,” he said. As both side of the debate increase their rhetoric in the run up to the referendum, the assertion that a legislator was offered a board seat on a Swiss casino to sway his allegiance is sure to pour fire on the flames. Land based casino operators have raised the red flag, accusing the laws opponents of accepting significant financial backing from international online casino operators interested in defeating the law and remaining on the Swiss market. FDP youth organization president Ailberschmidt has countered that “direct” financing of the campaign to defeat the law has been “avoided”. His word selection had led critics to accuse the FDP of using forms of double speak to circumvent having to explain the actual levels of international funding the campaign has received. To further fan the flames, the Swiss Poker Association (SPOV), previously opposed to the law, has now switched sides. Rene Ruch, SPOV president, explained that an amendment to the new law, raising maximum entry fees for land-based poker tournaments from $52 to $209 led the association to have “no reason to be against” the new law. The coalition in support of overturning the law then alleged the flip-flop of the SPOV was due to a pay off by the land-based casino industry. While Ruch denied any such payments had been made, he was able to confirm that the SPOV’s website recently received advertising dollars from both the state-owned lottery Swisslos and Casino Lucerne. Wolfgang Bliem. Casino Lucerne’s CEO came out in adamant support of the law’s domain blocking. “Gambling is not a normal product and cannot be left to the free market,” he said in an interview with Swiss media outlet ZentralPlus. As the debate continues to rage, both sides are expected to intensify their lobbying efforts in the run up to the June 10 referendum.